I have been offline for a week, and here comes my first post this week. 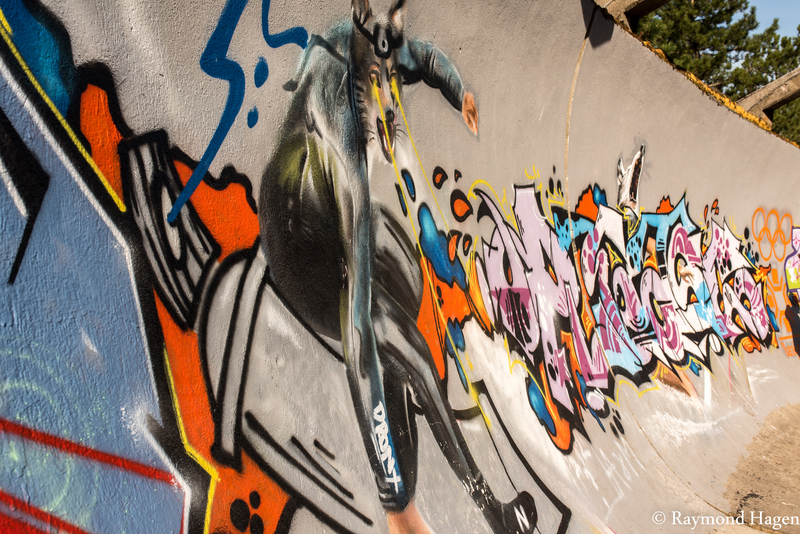 It is a quite magnificent street art in the old decayed bob sleigh track in Sarajevo , Bosnia. I quite loved that. A little pice of happiness and colour, in surroundings of tragedy.